From what I’ve seen the way of mindfulness tends to not deal with our subconscious emotions, with our childhoods, with childhood conditioning & trauma. In my mindfulness practice my emotions have come out in a total and uncontrolled way as my unconditional awareness has grown. As of course they will if one’s unconditional awareness grows. So my practice is/was very different from the Buddhists etc. How? By making my practice the unconditional allowing into awareness of everything that’s there, without control. For real. What does this mean though in real life? After just a few months of intense practice, aged just 19, I experienced a shocking intensification of the senses. Most people would call it a ‘nervous breakdown’. Psychiatrists may have diagnosed it as Schizophrenia. Luckily I was stupid enough not to see any link with doing intense meditation practice. The Buddhist mindfulness gurus all said makes you peaceful. Yes there was the rare vague mention of a dark night of the soul & difficulties. But none of them talked about emotions much. They just said over and over the way to deal with them is to observe and not act out of them. Me, I fell to bits, and for the next 4.5 years definitely ‘acted out of’. And no longer knew who I was, as my “self” became fractured in true “psychotic-like” style. I ‘knew’ I was becoming schizophrenic. And I did not relate this to sitting and opening. So I obviously thought I’m not doing it right and I need to sit more. so I did, which opened my awareness some more. And coincidentally went more and more “schizophrenic” & emotionally out of control. For 4 and a half years! Finally age 24 I hit the core of my emotional terror. A 1-month old baby being totally emotionally abandoned by his mother, never to return. I screamed & screamed and had no choice but to let go. I fell out the bottom of my world into space and waited for death. 5 days later I woke up, & knew I was unconditionally loved by the Universe. This experience has stayed with me and never left me. realized some pretty cool stuff. That strangely hardly anyone that I can find in the spirituality game talks about. Like what is this 4 years worth of intensified sensory world that I acutely experienced? Is it this terrible place that can destroy you, that damages you? That you have to observe or “repair from”? No not really. It’s just how an infant experiences its world. And this fracturing of “self”, the place of ‘schizophrenia’, this terrifying loss of any sense of who I am, for over 4 years. Is it something to get away from, is a bad thing, to heal out of, to rebuild self from? No it’s just the power of parental indoctrination and the reasoning mind dropping away. Is it a good practice to observe the emotions and not act on them. I would say that to separate from them in this way is moving away from experiencing oneness and love. As well as being mission impossible when we start to increase our awareness. And this 4 years of screaming, crying, intense sensations, inability to work, or function at any kind of “normal” level? Of despair, terror, seeing things, frequent weird powerful “psychotic” “episodes”? The shadow side? Something gone wrong? Enlightenment’s evil twin? No. Just me letting out the held-in emotions, the totally appropriate responses of an infant/small child to its world and its parent’s behavior. And what’s a good way to deal with all this “stuff”, these childhood emotions and experiences coming out? To label them as schizophrenia, disassociative disorder etc? To stick pills in to make them go away, to shut them up, to label them as “evil”, “wrong”, to be “healed”, or “observed and not acted on” etc. etc? Thank goodness I did none of these things. I found kindness, a bit of caring, listening & touch to be far more useful. And here’s another thing. My childhood was finite. So the emotions inside are finite. So once I’ve cried and screamed them all out, & said its ok to them 1000’s of times, in my own curled u in a corner hugging myself kind of way, they went. Totally. And I found myself floating in a space I had never realised was there. A spacious consciousness full of love, compassion and wisdom. That sees things as they are. And I realized something else… Emotions are totally safe. Lovable. Unconditionally. For real. So my practice is/was different. How? By making it unconditional allowing into awareness of everything that’s there, without control. For real. Yikes. What does this mean though in real life? Well, if opening/mindfulness is about increasing awareness of the here and now, we are going to see the here and now more aren’t we. And this includes what we see and hear and smell and touch. And what we think. AND WHAT WE FEEL. And it doesn’t to take long, if you really are sitting allowing it all into awareness, before this rather large elephant floats into view… called the subconscious. Full of out of control emotions that we were taught to stuff inside, control and intentionally forget about. Then we have a straight choice, don’t we? To let them out or to push them back in and give reasonable reasons why, or the time honoured trick that every child knows of putting our attention somewhere else, and making that more important. It could be something really obvious (I use Ebay) or it could be something a bit more subtle like “observe the feelings and don’t act on them”. I learned something else. You can’t go around, or outside of where you hold to let go of where you hold. So the only way is straight in. To the core. With a diamond drill called mindfulness-done-right. My life feels like a real mess. Don’t let anyone tell you that you get through one whole load, one big opening & it’s over. Not in my case. And don’t let anyone tell you that you can find yourself floating in spaciousness, with the real-me-being-the-spaciousness, and that solves everything. Not in my case. I tried that for at 10 years. There will be great big lumps of karma to drill into. And no amount of playing around the edges observing is going to do much. So here I am happily (?) drilling hum ha. When you’re at the pit-head there ain’t much light. Yes, now you know how to come out whenever for air, but then you’re back in the dark, drilling for the core. Blind. Screwing up regularly. In a totally dysfunctionally neurotic/psychotic very-average-Joe kind of way. Not even sure you’re drilling in the right direction. Not even sure if you’re drilling actually. 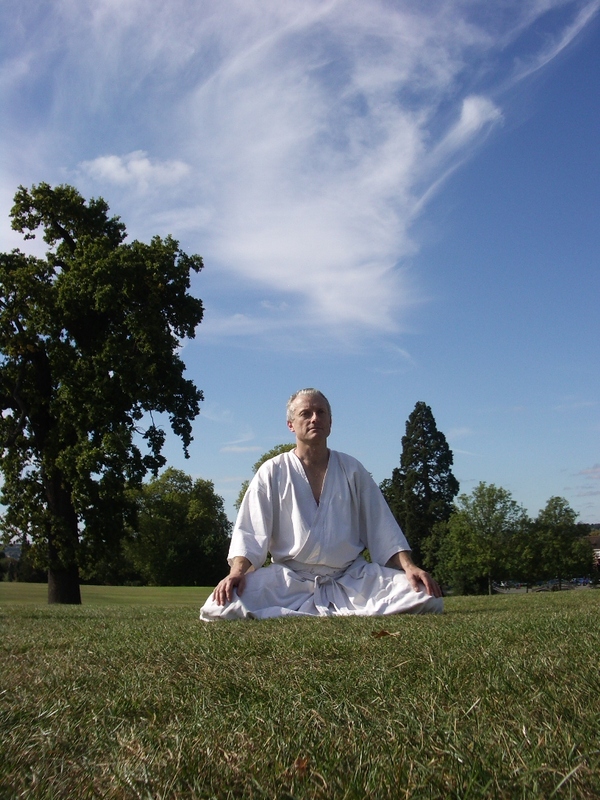 This is some of my 30 years experience of mindfulness & the emotions, for what its worth….